WASHINGTON -- A cruise ship with a Dallas health care worker aboard who is being monitored for signs of Ebola did not receive clearance to dock in Cozumel, Mexico, a day after Belize refused to let the passenger leave the vessel. Obama administration officials said the passenger handled a lab specimen from a Liberian man who died from Ebola at Texas Health Presbyterian Hospital earlier this month. 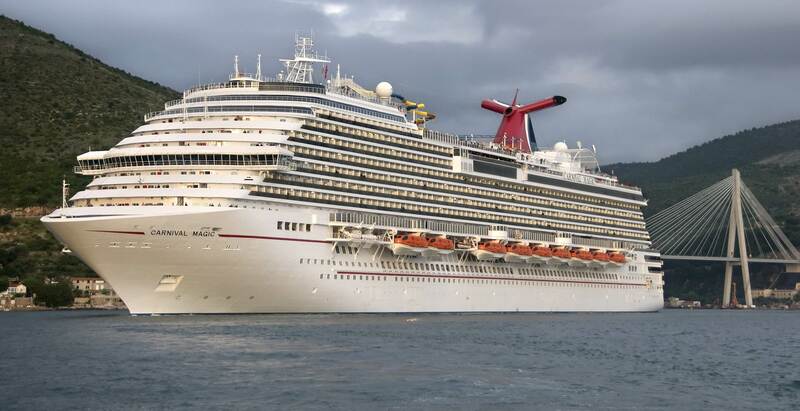 Officials said the woman poses no risk because she has shown no signs of illness for 19 days and has voluntarily self-quarantined on the cruise ship, the Carnival Magic. The cruise line said Friday that after not receiving clearance, the ship left Cozumel waters shortly after noon Friday with the goal of returning to its home port of Galveston Sunday morning as originally scheduled. "We greatly regret that this situation, which was completely beyond our control, precluded the ship from making its scheduled visit to Cozumel and the resulting disappointment it has caused our guests," Carnival said in a statement. Passengers will get a $200 credit on their ship accounts and a 50 percent discount for future cruises "based on the missed visit to Cozumel," the company said. The Carnival Magic had also stopped in Belize but officials there would not allow the passenger to leave the vessel. In a statement, the Belize government said it had refused a U.S. government request to fly the woman home through the Belize City airport. Other passengers were allowed to disembark there. "Out of an abundance of caution, the government of Belize decided not to facilitate a U.S. request for assistance in evacuating the passenger through the Philip Goldson International Airport," the government's statement said. U.S. officials had been seeking ways to return the woman and her husband to the U.S. before the ship completes its cruise on Sunday. State Department spokeswoman Jen Psaki said that when the woman left the U.S. on the cruise ship from Galveston, Texas, on Oct. 12 health officials were requiring only self-monitoring. Carnival Cruise Lines said in a statement that the woman, a lab supervisor, remained in isolation "and is not deemed to be a risk to any guests or crew." A spokeswoman for the cruise line, Jennifer De La Cruz, said that when the Magic made a port call in Belize, other passengers were allowed to disembark with the exception of the health care worker and her spouse. There have been no restrictions placed on other passengers aboard the ship, officials said.